Mad Science parties are the original and the best! 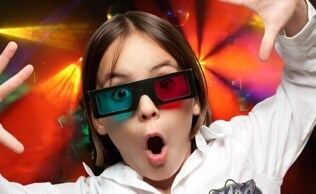 We entertain children from 5 to 11 years old with exciting, high-energy, interactive shows that come to you. 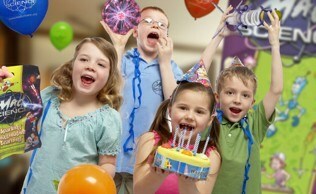 Wow your child and their friends with the best party ever! *Enquire about programs available in your area. Children also have the opportunity to carry out a cool chemical reaction and take home their own Mad Science Slime! Kids will be amazed and entertained by the cool and interactive demonstrations, chemical reactions, and activities! Thank you so much for an amazing birthday party for my 7 year old son. Supernova Stu and Inquisitive Indie were fantastic and entertained 20 children throughout with amazing facts and loads of fun. The party was really enjoyable and very well organised and all children and parents loved it! We would highly recommend this party and with candy floss (option) as the children loved watching this being made and eating it! We will definitely be booking another party. Thank you. My daughter's 7th Birthday party was amazing. All 20 of the children had a fabulous time and have all been talking about how good it was. The parents watching loved it too. Thank-you Explosive Erica and Scientific Sarah. All children were engaged for the full time. We had our sons 7th birthday party a week ago. All the kids thoroughly enjoyed themselves. Supernova Stu has the patience of a saint entertaining 18 6-7 year olds. All enjoyed making slime and the hover board. Would definitely recommend Stu and the team. Thanks for a great party!